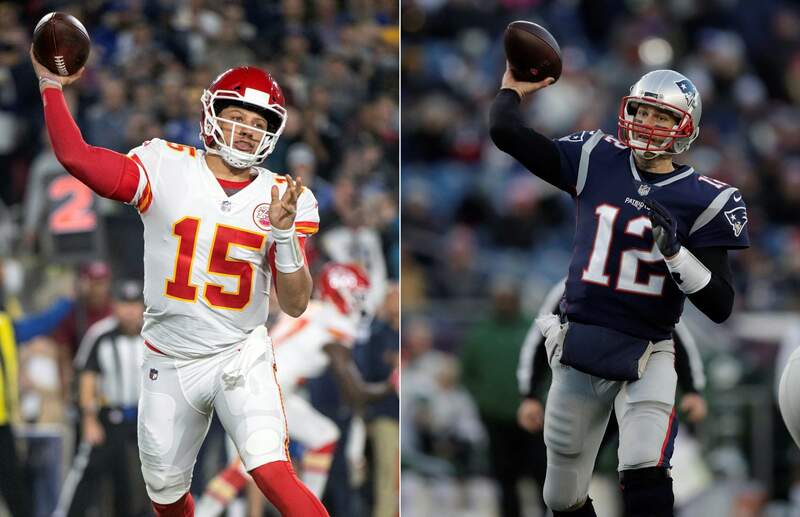 Kansas City Chiefs quarterback Patrick Mahomes, left, will once again face New England Patriots quarterback Tom Brady, this time in the AFC Championship game Sunday in Kansas City. Kansas City Chiefs tight end Travis Kelce, left, will meet another one of the game’s top tight ends in Patriots star Rob Gronkowski. KANSAS CITY, Mo. – It seems football fans everywhere are suddenly on the Kansas City Chiefs’ bandwagon, enthralled by their record-setting young quarterback and exciting playmakers and hopeful their amiable old coach can finally win the big one.